It's citrus season again! Maybe it's because the trees are maturing, but our tangerine, clementine and mandarin trees are laden with fruit. Almost every morning for the past few weeks I've been able to collect a basket of tangerines to make freshly pressed juice for breakfast (no additional sugar needed!). The clementines are particularly sweet and for a while I've been tempted to use them in a dessert. 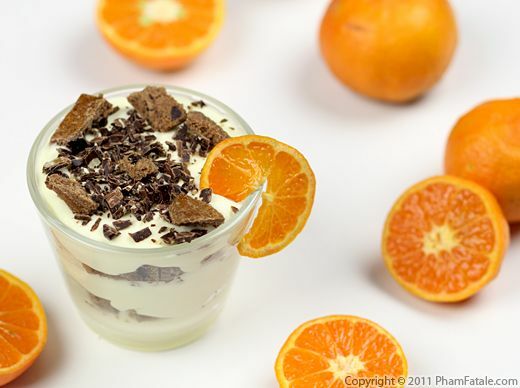 The basis of this mousse is a custard made with homemade concentrated clementine juice. I also added a bit of white chocolate and fromage blanc to give more body to the mousse and finished by folding in sweetened whipped cream so it turned light and fluffy. I could have made a tart or parfait with the clementine wedges, but mousse is relatively easy to make and a great way to showcase an ingredient. To visually enhance the flavor of the dessert, I served it in the whole fruit peel. 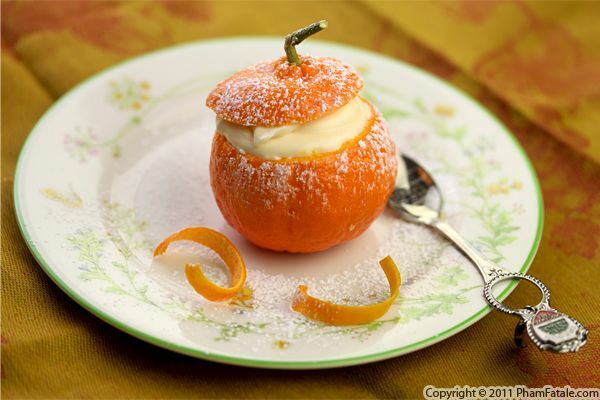 I think it gives a very elegant look to the dessert. Ooh La La!